Spiders scare people but moving Spiders will surely be the spooky highlight of this years Halloween fun. This Spider is 48in wide and made with a sturdy metal frame and weather resistant fabric materials. 70 Warm White LED CUL Lights keep the Spider lit up for Halloween frights. 72-inch LED-Lit Animated Scarecrow Halloween Decoration You'll be filled with dread as you cross paths with the 72 inch Animated Scarecrow. With glowing red eyes and realistic mouth movements, this creepy character is possessed by something sinister. Scary sound effects will terrorize Trick or Treat both big and small. 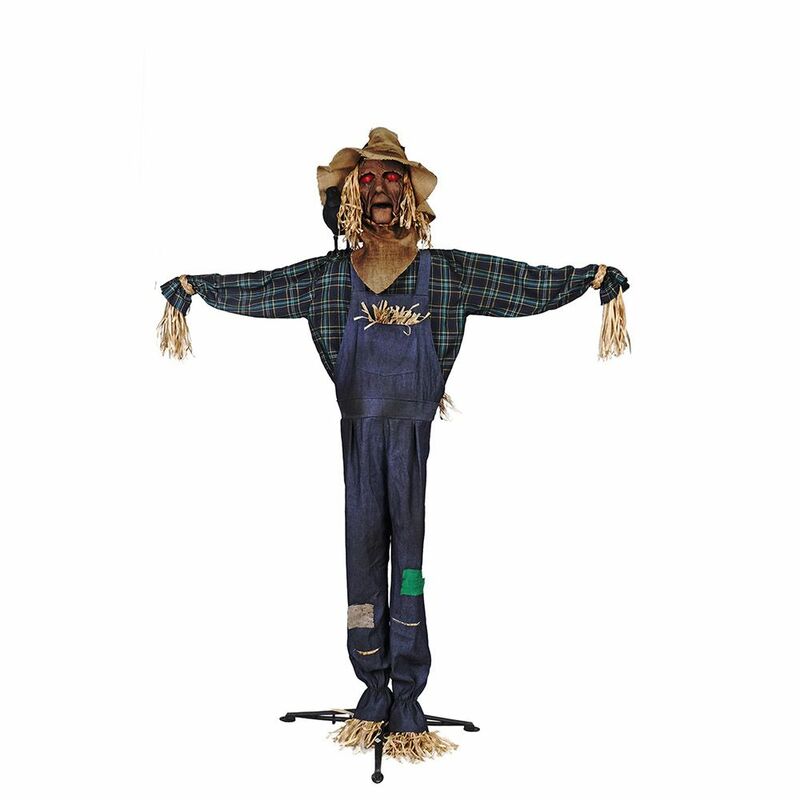 72-inch LED-Lit Animated Scarecrow Halloween Decoration is rated 4.2 out of 5 by 5.